100% pure Japanese Organic Cotton. Has not been chemically treated, bleached, or pigmented. Darker flecks in the material are natural and should be expected. This has got to be the cleanest tasting cotton we've ever tried. Highly recommended. Cut a strip off the pad long ways for best results. I typically don't feed into cotton hype but I have to say this stuff is amazing. Picked some up from Fluid at Vapebash last weekend and I am thrilled with this product. 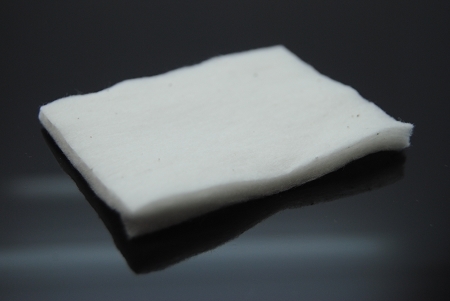 The pads are easier than picking at cotton balls because all you have to do is cut. But aside from that the flavor you get off this stuff is intense. Totally worth picking up! The flavor is amazing with this cotton and it wicks beautifully. This is now the only cotton I will use. I read in another review that you can wick anything with this because it just falls apart.if you use it the way we use cotton balls yes it will fall apart.so when you wick with this use your scissors to cut it with the grain of the cotton.how ever big your coil is the cut piece of pad needs to go through just like old cotton,with a lil resistance when pulling through.to get wick started I cut a point on the one end of it.get what juice ill be using and just put a small drop on the end and twist just the wet part of the wick.btw I did forget a super important part,once you cut your wick(for taifun1/4inch wide)you need to split the pice like two pieces of bread,youll get 2wicks out of one.this stuff is SUPERTHICK.this way has worked for me most everytime.it takes some time to get it down pat.but well worth it once you do.the flavor is awesome with this imho!also for .99 cents a pice isn't a bad price if you don't want a whole box the order 5 er 6 and youll be set for a while id think.thanks Fluid for a great product!and not a bad price. Tried this stuff at VapeBash3 and was hooked, absolute cleanest flavor of all the wicking materials i've used! I can get 15-20 wicks per pad and as long as you cut it longways it stays in one piece. 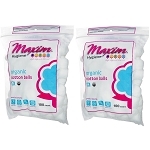 I don't think i'll ever go back to standard organic cotton balls again! too fragile to use. . . .